• High in fibre, vitamins, minerals, proteins and antioxidants. • Excellent source of essential amino acids. • Rich in vitamin C and carotenoids. 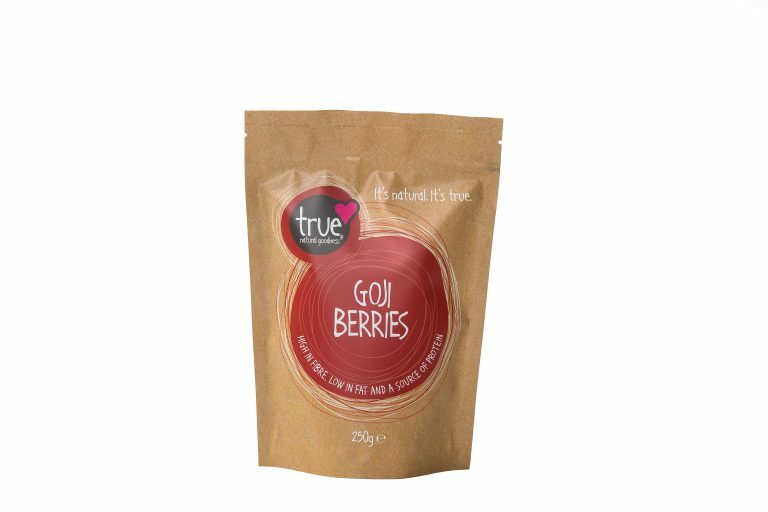 Although a relatively recent arrival in Western countries, goji berries have been grown in Tibet and China for thousands of years. They are one of the most nutritionally dense fruits. Also known as wolf berries, and a member of the nightshade family, they contain all essential amino acids and the highest concentration of protein of any fruit. In addition to being packed full of powerful nutrients, they also possess anti-inflammatory, anti-bacterial and anti-fungal properties. 10-30g per day. Use in smoothies, cereals, salads, homemade trail bars and granola. If you have any health concerns, consult your doctor or nutritionist. May contain traces of nuts, gluten and dairy. Independent Irish Health Foods Ltd., Ballyvourney, Co. Cork. Design by Redbox. Web Development by Egg.